The ACS LugPlugs Musician Hearing Filtering System is the first hearing filtering system designed specifically for musicians featuring the patent-pending LugPlugs delivery system (as seen on TV). Cool, convenient and easy to wear around the neck during use or around the wrist as an accessory between performances, this unique Scottish-designed product provides a sensible investment in protecting your hearing from noise damage. Supplied with interchangable ACS ER20 and ER20 Mini earplugs to fit all ear canal sizes, the patented filter drops the volume equally across the frequency spectrum so that the sound you hear is reduced to safer levels but without the muffling effect that you experience with standard foam or wax plugs. Don’t go deaf, don’t be deaf. Protect your hearing with LugPlugs! The Jim Kilpatrick Practice Pad is designed to produce an accurate rebound and stick response which will help to develop the ultimate drumming technique for stick control, feel and speed. The pad features a specially selected neoprene playing surface for a true and precise response and a non-slip ring for playing on flat surfaces. It can also be mounted on a snare drum stand and has an integrated threaded fitting for mounting onto a cymbal stand or other practice pad stands for a true drumming experience. The new Jim Kilpatrick Deluxe Practice Pad is like no other practice pad on the market. The 13″ playing surface provides variable feels from the outside to the centre of the pad, enhancing the stick response for the perfect rebound. The stick response is what you would expect from the perfect practice pad. The pad is easily mounted on any snare drum stand and fits comfortably on your lap for a relaxed playing position. The unique Jim Kilpatrick Tuning Block allows you to tension your Premier HTS 200 & HTS 700 pipe band snare drum consistently using staged tensioning around the circumference of the drum head. Staged tensioning can help to increase the lifespan of your drum head and reduces the possibility of failures. The unique Jim Kilpatrick Tuning Block allows you to tension your Andante Reactor and Next Generation Reactor, Pearl FFXPB and FFXRK or Premier HTS 800 pipe band snare drum consistently using staged tensioning around the circumference of the drum head. Staged tensioning can help to increase the lifespan of your drum head and reduces the possibility of failures. 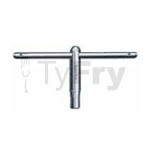 The Pearl high tension drum key is the perfect heavy duty tool for tensioning and tuning traditional bass and tenor drums and the full range of Pearl FFXPB and FFXRK Pipe Band Series and other high tension pipe band snare drums. 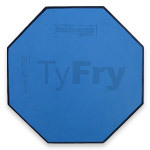 The Snare Line Practice Pad has been designed to enhance your practice sessions through a balanced density blue rubber providing you with the best sticking response. If you have struggled to find the right pad for you, then the Snare Line world champion drumming researchers have cured your problem. This pad can be placed on a table or on your knee as it features a durable non-slip mat on the bottom. 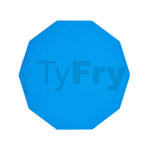 If you prefer to stand up then you can screw the pad onto a drum stand with the standard fitting featured on every pad. The Snare Line Practice Pad has been designed to enhance your practice sessions through a balanced density red rubber providing you with the best sticking response. If you have struggled to find the right pad for you, then the Snare Line world-champion drumming researchers have cured your problem. 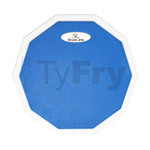 This pad can be placed on a table or on your knee as it features a durable non-slip mat on the bottom. If you prefer to stand up then you can screw the pad onto a drum stand with the standard fitting featured on every pad. 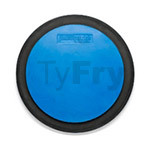 The Snare Line Practice Pad Lite has been designed to enhance your practice sessions through a balanced density blue rubber providing you with the best sticking response. If you have struggled to find the right pad for you, then our world champion drumming researchers have cured your problem. 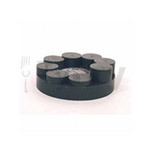 This Lite pad is designed to sit on a table and is the perfect practice pad for a snare line or drum corps to utilise. Using this pad for the whole drum corps will give you a more accurate picture of how the corps is performing as everyone will be using the same responsive pad. Another major advantage with the Lite pad, is it’s size and weight – it’s best pad to travel with. The Snare Line Practice Pad Lite has been designed to enhance your practice sessions through a balanced density red rubber providing you with the best sticking response. If you have struggled to find the right pad for you, then our world champion drumming researchers have cured your problem. This Lite pad is designed to sit on a table and is the perfect practice pad for a snare line or drum corps to utilise. Using this pad for the whole drum corps will give you a more accurate picture of how the corps is performing as everyone will be using the same responsive pad. Another major advantage with the Lite pad, is it’s size and weight – it’s best pad to travel with. 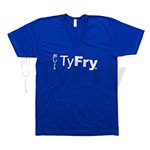 Represent your favourite drum mallet line with this official TyFry® V-neck T-shirt by American Apparel. Available in a cool blue with silver decals to the chest and neck in sizes XS to 2XL.